Whats App Mail Me Kya Likhe? Iske liye upar batai gayi same possess hai, sirf aapko "cheng Number" par click karana hoga, fir apana new number add kare jis number se aap whatsapp chalana chahate ho vahi, baad me confirmation Cod dalakar apana new whatsapp account chalu kar de. 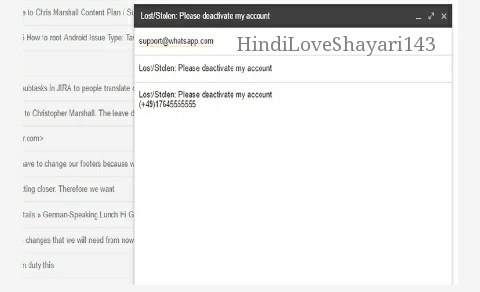 Sort Time Ke Liye Whatsapp Account Deactivate Kaise kare? 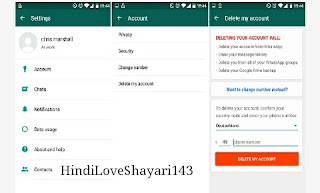 Note : Whatsapp features ki is post se aapko kus help mili ho, ya Pasand ayi ho to Like, Comment and Share, Jarur kriyega, Aur apne Doston Aur Family Members Ko bhi invite Krein.